Boswellia serrata, also known as Indian frankincense, has been used for thousands of years for its ability to manage inflammatory disorders. It is procured from the sap of the Boswellia tree, a native Indian plant. It has been used to treat arthritis, diarrhea, and pulmonary disease. Also, when used as an incense, boswellia resin is reported to relieve depression and anxiety. Interestingly, the fact that we know of its medicinal use might be attributable to elephants, as it’s said that ancient Ayurvedic healers discovered its benefits by watching elephants eat boswellia. Since elephants are known for their long life and health, it is thought that the healers wanted to bring the health benefits of the tree to their patients. Over the last few years, boswellia has attracted much attention in the world medical community because it possesses anti-inflammatory properties that are equal to prescription medications without the unpleasant/dangerous side effects. For example, research conducted in India found that an extract of boswellia dramatically relieved rheumatoid arthritis symptoms. Even better, boswellia was less toxic and more potent than the standard drug of choice at the time, benzoyl hydrotropic acid. In addition, it appears that boswellia can inhibit the breakdown of connective tissues caused by tumor necrosis factor-alpha, a potent inflammatory agent in the body. And finally, studies indicate that boswellia has the ability to modulate the immune system and inhibit inflammatory activity, thereby helping with a number of autoimmune conditions, including rheumatoid arthritis. Or to put it in simpler terms, the boswellic acids in boswellia seem to have the ability to suppress the proliferating tissue found in inflamed areas of the body and prevent the concomitant breakdown of connective tissue. Proliferative inflammation is an inflammatory reaction in which the distinguishing feature is an actual increase in the number of reticuloendothelial macrophages—thus continuing the inflammatory response and the breakdown of healthy tissue. In addition, boswellia has been found to improve blood supply to the joints and restore the integrity of weakened blood vessels, again with no side effects as seen with the traditional drugs of choice. These are some of the reasons you’ll find boswellia as an ingredient in Jon Barron’s cartilage regeneration & joint health supplement, Triple Jointed. Boswellia benefits joint health and relieves inflammation related conditions -- with two caveats. Even with standardized extracts, it takes a lot (1-3 grams per day) to get the desired effect. Which brings us to Boswellin® PS. Until recently, research on boswellia has focused almost exclusively on the boswellic acids, particularly AKBA (acetyl-11-keto-beta-boswellic acid) as the most active component in boswellia, and most supplements have looked to maximize that component. However, more current research has indicated that some of the water-soluble polysaccharides in boswellia are also essential components in that they initiate and support the anti-inflammatory activity, whereas the lipid-soluble boswellic acids help to provide a sustained action. In fact, a particular boswellin polysaccharide extract known as Polysal has demonstrated a dose dependent anti-inflammatory potential, similar to the boswellic acids. For this reason, Boswellin® PS now stands out as the boswellin ingredient of choice. In addition to the active boswellic acids, Boswellin® PS contains Polysal, the exclusive water-soluble polysaccharide components which contribute to an immediate anti-inflammatory action – perfectly complementing the more sustained action of AKBA. Polysal primarily consists of galactose, arabinose, D-glucuronic acid, and 4-o-methyl-glucuronoarabino-galactan. 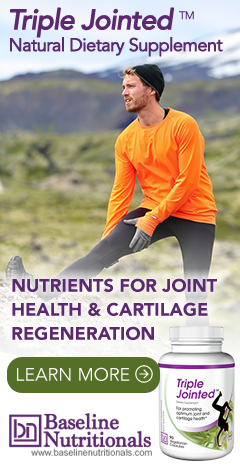 Learn more about natural joint pain remedies and natural anti-aging. I was recommended this website through my cousin. You are amazing! Thanks! I began this product as a last solution to my grandson's migraines. He has suffered these since the age of 7. Now 26 using Boswellin 2-3 per day he reports NO MIGRAINES for the past month. This product was suggested from my cousin who also suffered migraines to the point of disability. She too has no migraines for a year. It's worth a try and a message to be passed on. You may want to have your grandson tested for Lyme. My daughter, now 18, started having migraines in pre-school and was diagnosed with chronic Lyme 3 years ago. I was recently reading Lyme material that specifically stated headaches as a symptom of the infection/disease. Hi. Can this product help get rid of biofilm in the lungs? While boswellia has demonstrated antibacterial activity in test tubes, there is no evidence as yet that it work on bacteria in the lungs. That doesn’t mean it wouldn’t—just that there is no evidence that it does. I have RA amongst other autoimmune illnesses. Can Boswellia be taken while using methotrexate, as it modulates the immune system, I wonder if it may antagonise? There is no evidence that boswellia presents a problem while taking methotrexate. But as always, whenever you are taking pharmaceutical medications you should talk with your doctor before taking any supplements. Only your doctor can make the final determination. Is Boswellia helpful in treating Irritable Bowel Sydrome? We are not sure which capsules you are talking about, but you should work with your doctor and ask the manufacturer of the product for specific dosage recommendations. Hope that helps. Attempted to Google to find out where to purchase and nothing came up. With Drugs or Suppliments, if I am not familiar with the Company, I also prefer a "Contact Us!" We don't sell products at the Baseline of Health Foundation, merely provide free health information. That said, in the article we state, "...you’ll find boswellia as an ingredient in Jon Barron’s cartilage regeneration & joint health Supplement, Triple Jointed." So, you can click on that and contact the company directly for any product related questions. Diagnosed with neuropathy with no known cause. Also diagnosed with osteoarthritis and CTS. Is boswellia appropriate for these disorders? At what dosage? Can it be taken in conjunction with Vitamin B Complex? And is this more than likely going to be taken for the remainder of my life? I'm 60 years of age and not diabetic nor Vitamin B12 deficient. Thank you for your response. how long before headaches go away? does anyone have any information available on PANDAS (Pediatric Autoimmune Neuropsychiatric Disorders Associated with Streptococcal Infections) ? Looking for answers.